Cosentino Australia is excited to announce University of Technology Sydney (UTS) architecture student Beau Avedissian won the 2017 Cosentino Design Challenge (Australia). The Cosentino Design Challenge encourages creativity among design and architecture students around the world, and more than 20 institutions, schools and specialist universities in Europe, Asia, America and Oceania participated in the 2017 challenge. Cosentino Group has a presence in every country the challenge is held to give it maximum media and academic coverage. The 11th edition of the Cosentino Design Challenge (CDC) asked architecture and design students to develop ideas based on the theme of “Cosentino and travel” with the single requirement that the final proposal include at least one Cosentino product. A local judging panel selected Avedissian’s GoSLO proposal, a layered interpretation of travelling through a multi-dimensional architectural space, as this winning submission. His prize includes an ipad mini and a two-week fulltime paid internship at multi award-winning architectural practice Francis-Jones Morehen Thorp (fjmt). 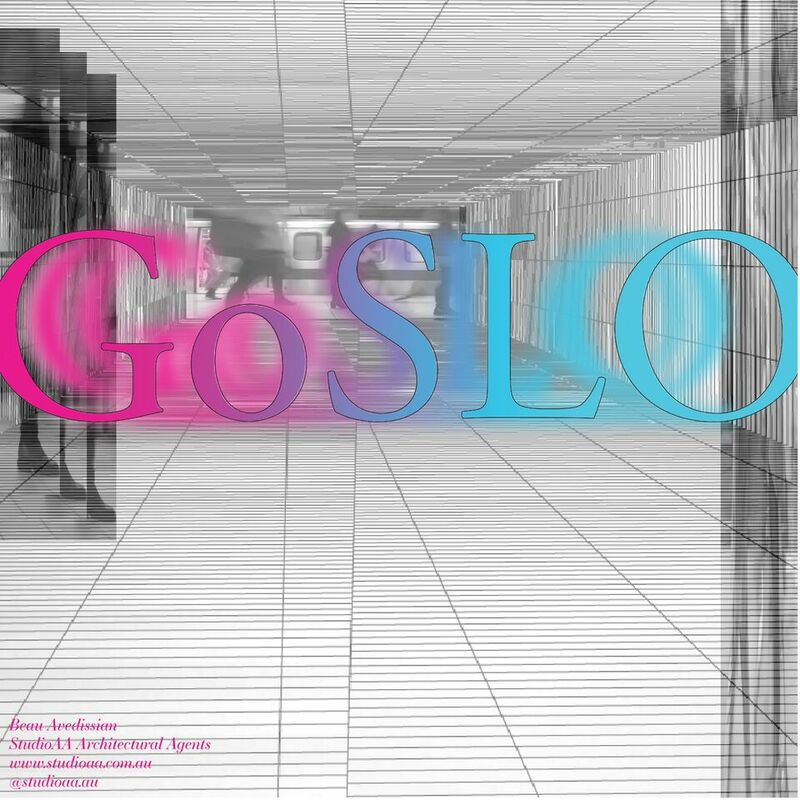 GoSLO provides a sensory experience in which people can disengage from life’s stresses. It draws on Avedissian’s interest in “designing the void” – the spaces we move through every day – rather than designing the architectural enclosure that creates the void. “It is a slow space between the busyness, and we begin to be mindful of ourselves as we move through this space,” Avedissian explains. “The climatic atmosphere of each section replicates regional territories, stimulating the impression one is travelling through different continents.” These regions include Egypt, Spain and Nepal; the climate of each simulated through changes in temperature, light, ventilation and sound and how they affect the body. The installation is clad with Cosentino tiles that are cooled and heated in different sections. “The tiles were designed as architectural inventions, suited to each section, that push the boundaries of how an ordinary tile could perform,” Avedissian says. With no fixed structures, the system can be installed in tunnel spaces around Australia or the world. Posted in Architecture & Design, Industry News and tagged architecture, art, australia, business, Cosentino, furnishing international, industry news, interior design, interiors. Bookmark the permalink.